CLP-5024A Automated Water Recycling System 11034210 https://www.kaercher.com/us/professional/water-treatment-systems/mechanical-filtration/clp-5024a-automated-water-recycling-system-11034210.html The CLP mechanical wastewater filtration and recycling system uses its easy-to-operate controls, resulting in cleaner water, reduced odor problems, lower maintenance costs, and a smoother operation. 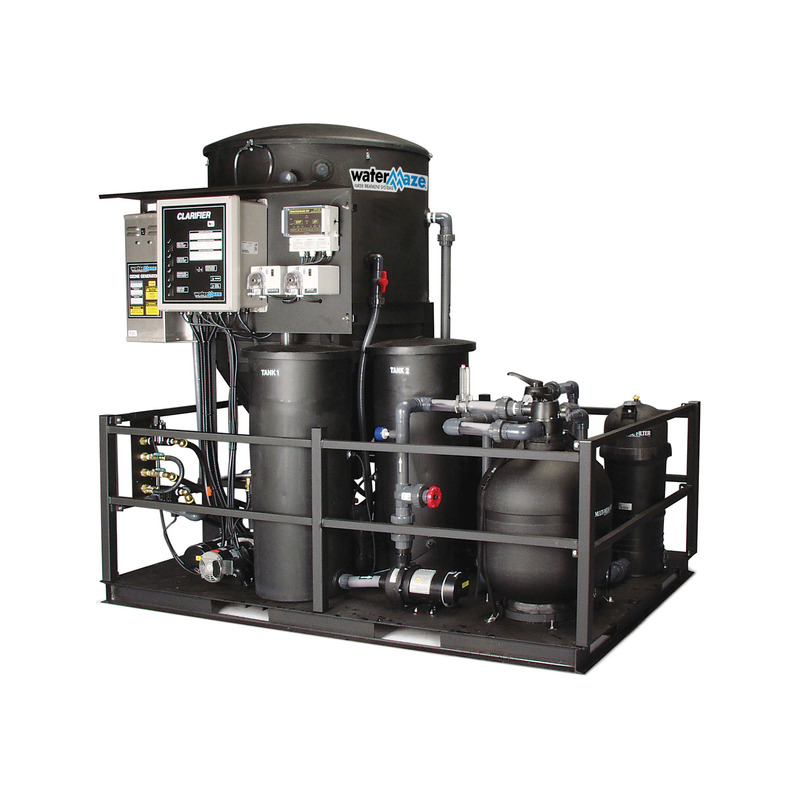 The CLP mechanical wastewater filtration and recycling system uses its easy-to-operate controls, resulting in cleaner water, reduced odor problems, lower maintenance costs, and a smoother operation. The CLP is the most advanced, efficient and self-contained mechanical filtration wash-water recycling system on the market. The revolutionary CLP industrial water treatment system includes two models that are fully automated. The CLP’s automatic maintenance control system uses an easy-to-operate programmable logic control to automatically backwash filters, dispense sludge and monitor and adjust pH and oxidizer levels resulting in cleaner water, reduced odor problems, lower maintenance costs and a smoother operation. All CLP models are easy to install because they are pre-plumbed and self-contained on an all-steel platform protected by an all-weather powder coat finish. Other features include extra quantities of media including gravel, sand, anthracite, and garnet; up to 320 lbs. of auto “backwashable,” degassed, virgin activated carbon; 185-490 sq. ft. of cone-shaped, coalescing plates for optimum separation of oil and solids from wash water; industrial-grade ozone generator; and convenient, mess-free method of disposing of sludge from the system.